Light boxes are extremely helpful for photographing your work. The difference between photos of ceramics that have been photographed in a light box is tremendous. If you want to get into galleries and other prestigious events, then you need top quality photographs. If you want top quality photographs, then you need a great light box. There are many different options when it comes to light boxes, there are loads of fantastic light boxes that you can buy online, or you could even create your own DIY light box. Whatever you do, it is important to consider what work you are photographing, and tailor your light box to the needs of your work. In this article, we will be discussing the best light boxes that you can purchase. If you do not have the tools, time or space to create your own light box then it can be a good idea to purchase one that is already made and requires little to no assembly. These light boxes can be found online at various prices and materials. 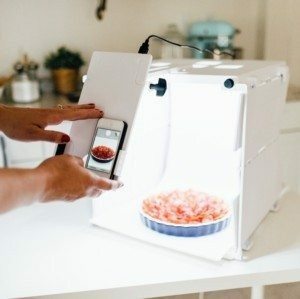 Some of these light boxes can be collapsible and are great for saving space in a small pottery studio or taking photos of your work while traveling. Another benefit of already made light boxes is that they can come in kits and you already have all the lights and tools needed to start taking professional photos right away. Below we will list several different light box options that can be purchased if you do not want to make your own DIY light box. There are three doors in the front, for maximizing image angles while reducing outside reflections, and a top hole for imaging from above. No assembly required, and it collapses into thin, portable, durable, portfolio case. 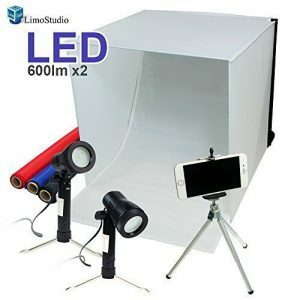 This kit comes with: a Camera Stand Tripod, a White Photo-shooting Tent, which is a 16-inch Cube with Color Backdrops, it also comes with 2 High Output Table Top LED Light and one Cellphone Clip Holder. This kit helps create soft and neutral light and minimize the contrast between shade and hot-spot. It comes with different colored backdrops, to suit your ceramics: Red, black, blue, white backdrop fabrics. The Table Top Mini Camera Stand is Height adjustable, with max 8-inch tall / 1/4-inch standard screw tip. The Cellphone clip holder is compatible with any smartphone. 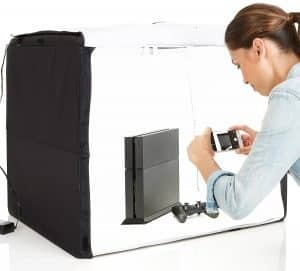 If you need something a bit bigger, then the bigger brother is the LimoStudio 24″ Folding Photo Box Tent LED Light Table Top Photography Studio Kit. This is the most affordable lightbox. This light box has a large removable front opening to allow for easy studio images in your studio. 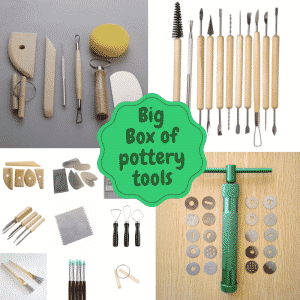 The studio kit comes with a carrying case – with both shoulder and hand carrying straps. 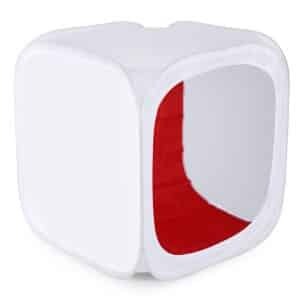 It’s a 24 inch/60 centimeter cube. It comes with four different colored backdrops. 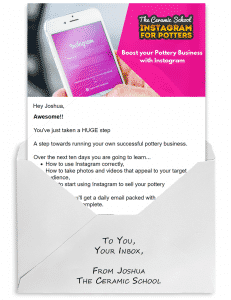 And if you use coupon “TheCeramicSchool” then you get 20% off everything! In conclusion, there are many different ways to photograph your work and it can all depend on how you want your work to look. For the more professional photos, a light box can help raise your work up to levels that can get you into galleries and shows. All of the light boxes listed can accommodate gradient paper , which also pushes up the quality of your photos. If you’re interested in buying or making your own photography setup we hope this article helped you to decide which one best suits your wants and needs.